The crystal waters of Ksamil Beach near Saranda are definitely becoming a hotspot for tourists all over the world. There’s something beautiful and magic on this beach and everyone who visits falls in love with this alluring beauty of Albania. 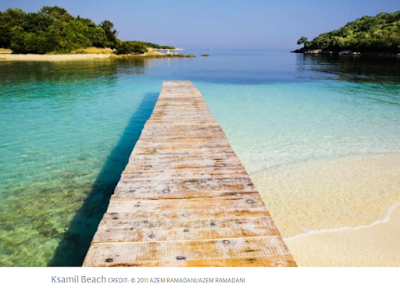 No wonder that Telegraph Travel listed Ksamil among “20 deserted European beaches you must visit in May.